Scorpion has cast Veronica Mars alum Tina Majorino in a recurring role as Florence, a chemist who moves in next door to the team. Her gradual acceptance into the group’s fold winds up doing more harm than good, however. Parenthood alum Bonnie Bedelia has joined the second season of Designated Survivor. She’ll be playing Eva Booker, the President’s mother-in-law who spent her career working as a secretary to a Department of Defense contracting officer. Twin Peaks alum Sherilyn Fenn will recur on CBS cop drama SWAT. She’ll be playing Karen, the imprisoned mother of Alex Russell’s character, Jim Street. ABC has given a put pilot commitment to Engaged, based on Curtis Sittenfeld’s book Eligible: A Modern Retelling Of Pride And Prejudice. The series will follow Liz Bennett and her four sisters as they navigate the ins and outs of love, relying on one another when things get dour. ABC has given a put pilot commitment to an untitled family comedy from a trio of Goldbergs producers. The series will tell the story of a young couple fighting to hold on to their pre-children past all the while raising the little ones in the present. Jonas Cuaron (Gravity) will be adapting Undocumented America, a manuscript from Karla Cornejo Villavicencio, to series. Currently without a network attached, the project will be a portrait of the undocumented experience, weaving together diverse stories of immigrants across the country. NBC has given a script commitment to The Outsider, a legal thriller that finds a street savvy public defender offered chance to be the Chief Justice of the Supreme Court’s newest clerk. NBC has put an untitled crime drama into development. The series centers on a former FBI agent who, after a traumatic experience, takes a job as an investigative journalist at a well-known and widely circulated weekly magazine – reporting on high-profile crimes, seeking justice for victims, their families and the falsely accused. ABC has put a reboot of The Greatest American Hero into development, only with a major casting twist. TitansTV has a Nightwing character that might be popping up on the upcoming series. 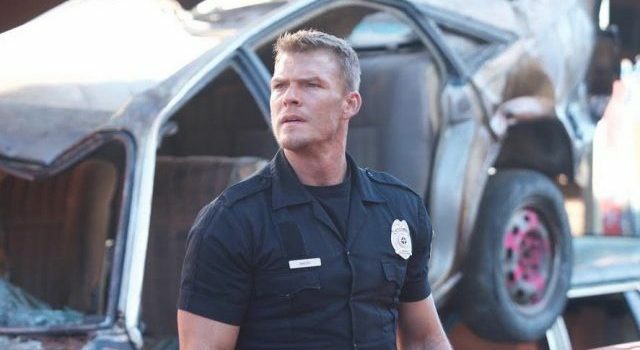 Want to check out some art depicting Blood Drive alum Alan Ritchson as Hawk on Titans? Here you go. A couple weeks ahead of the premiere, GothamSite has some Gotham spoilers for you. Here’s a look at what Deathstroke’s son will look like this season on Arrow, which will also contain a major reveal. FlashTVNews has some Flash spoilers for you. NBC has released a new teaser for upcoming new drama The Brave. Here’s another look at the upcoming second season of Emmy nominee This Is Us. The CW has released the first teaser for the upcoming third season of Crazy Ex-Girlfriend. Photos can be found here. SundanceTV has released a new teaser for its upcoming series Rosehaven. Netflix has released the first trailer for six-part limited series Alias Grace, based on the Margaret Atwood novel.